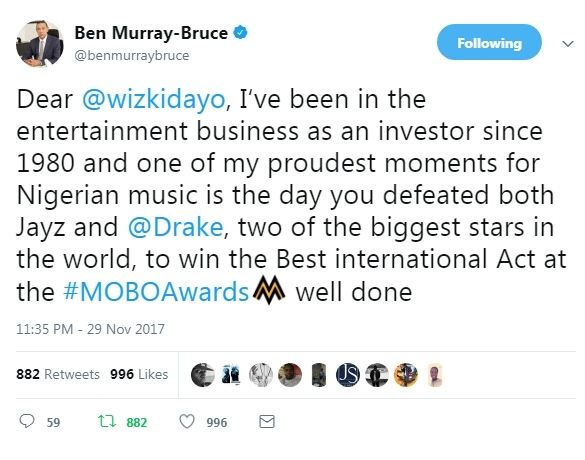 The Senator representing Bayelsa East in the National Assembly, Ben Murray-Bruce has reacted to Wizkid’s big win at the 2017 MOBO Awards last night. According to him, this is his proudest moment. 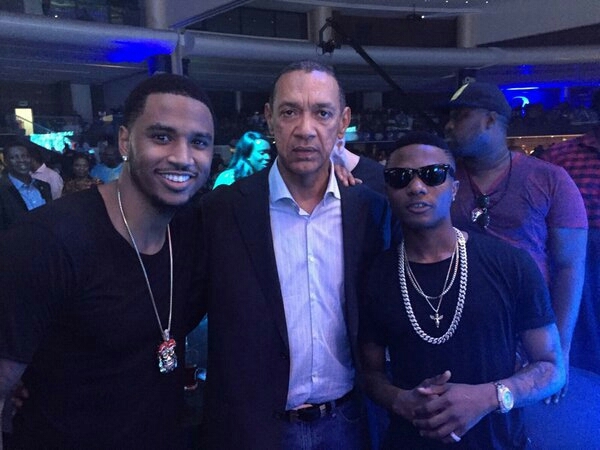 The Senator representing Bayelsa East in the National Assembly, Ben Murray-Bruce has reacted to big win at the 2017 MOBO Awards last night. Here’s Why Davido might be in trouble if he leaves Chioma!